The Padres/Indians trade rumors are swirling once again with 10 days until Opening Day of the 2019 season. The two teams match up well in a potential trade, but are they close in making it happen? There is no doubt that the San Diego Padres are in need of starting pitching for the upcoming season. 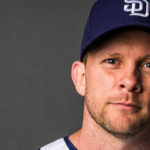 Need maybe a strong word to use, as the Padres have several young pitchers on their staff that are capable of stepping up. They have depth, but what they do lack in the rotation is the experience. As the major league season drags onward, there will be a need for pitchers to eat innings and not abuse the bullpen. The Padres have a necessity for a pitcher that can throw around 200 innings and make his start every fifth day. Totaling 32 starts in a season will take pressure off a young staff. Mentorship and other qualities will also be important for this youthful bunch. This is where the Cleveland Indians come in. 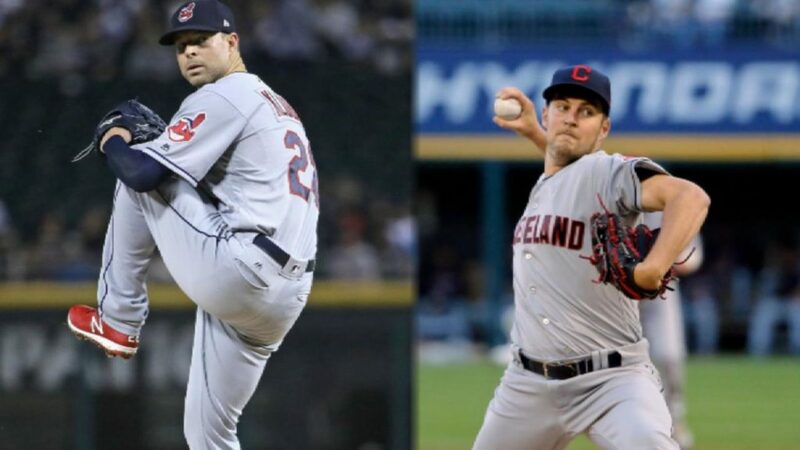 The Tribe presently have Corey Kluber, Trevor Bauer, Carlos Carrasco, Mike Clevinger and Shane Bieber in their starting rotation. The Indians could easily trade a starting pitcher if a trade partner pays up. In recent days, the asking price for one of their pitchers has dropped (according to Ken Rosenthal of the Athletic). As rosters need to be finalized in the next week or so, teams will certainly begin to become more flexible when it comes to trades. These two franchises have traded often in recent years and there is recent talk between the two sides. Let’s explore why these two teams match up so well. With an excess of starting pitchers, Cleveland could move a frontline pitcher and get a hefty return for them. Kluber and Bauer seem the most likely to be traded. Each pitcher has at least two years of control left in their contract and some would say that their peak value is right now. The Indians might be trying to maximize either pitcher’s worth presently while replenishing the farm system at the same time. The Padres have prospects galore, but they also have major league catching and outfield depth which is something the Indians covet. The Padres could also trade a relief pitcher to the Indians which would be an upgrade for the Tribe. Basically, the Padres have exactly what Cleveland wants, they just need to agree on the price tag. The Padres need a starting pitcher. We already know that. 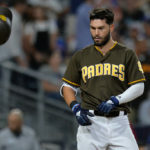 But a factor for a potential trade between these two teams is that the Padres could potentially move four players from their 40-man roster in a package deal. The team would love to be able to clear room in that area to explore possible additions to the roster. Every year, around opening day, teams cut players that are valuable commodities. One would expect the Padres to be active in possibly adding a veteran or two in late March. 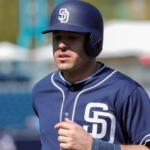 Then there are players like Cal Quantrill, Fernando Tatis Jr. and Logan Allen who will need to be added to the 40-man eventually in 2019. 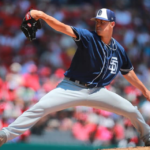 Potentially dealing four players from a depth area for a much-needed pitcher sounds good to the Padres and seems very logical. At this point, there is a lot to like about a possible deal. If the Padres need to include a young arm in the deal, then so be it. 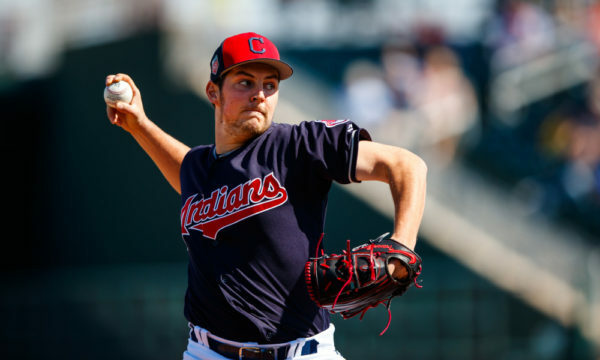 The chance to add Trevor Bauer or Corey Kluber is something that they probably need to take advantage of. Craig Kimbrel was acquired by the Padres on Easter Sunday, the day before the 2015 season started. A.J. 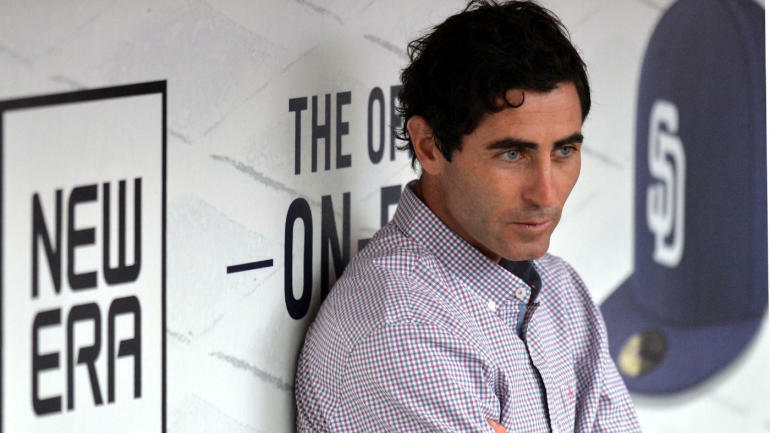 Preller has no issues with getting something done at the last minute. Where there is smoke. There is a fire. These two teams will go back and forth in the next week. We will see if anything is agreed upon. Name one surplus OF that has value the Padres wouldn’t want or need to keep for themselves. 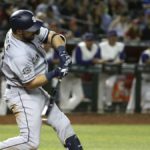 With Cargo signed, Manny Margot or Hunter Renfroe would make some sense but both are selling low and have little value. 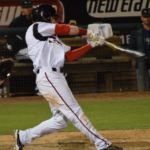 Micheal Gettys could be an interesting piece and would be selling high on a strong winter and spring training. In the off chance AJ wants to eat money; sending Wil along with 6 to 8M per yr from 2020 to 2022 might get that one off the books. 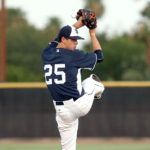 Hudson Potts is equal to their 2nd ranked prospect so that leaves 22 players that could improve their farm system. Lindor isn’t gona extend his contract if the top two pitchers get traded in a glorified salary dump so a SS makes total sense. Gabriel Arias and Xavier Edwards, I’m looking at you. Heck even Javy Guerra in a throw in piece. Cleveland prospect pitching is the exact opposite of San Diego in that all but one are RH and the lone LH hasn’t pitched above high A. Ideally I would prefer Weathers to the other two but Morejon could be a piece too. Just can’t see Gore being included but could see a Nick Margeviscius or Osvaldo Hernandez be included. Hunter Renfroe, Gabriel Arias, Ryan Weathers, Adrian Morejon, Nick Margeviscuis would be a fair price for Kluber. In short, that is outrageous. Padre Paul is right. I wouldn’t authorize that package for BOTH Kluber and Bauer. They, also, want/need outfielders for the current campaign. You are right about their SS though. Perhaps, they sense/know he’s not staying already. I wrong in reading that this – or something like it with someone – is close? Found it odd that Reyes and Renfroe sat out with “tiredness”…that sounds like a deal is close, don’t get hurt today. Zero inside info there. Kluber has three more years of control. Not two. Except Sale was trade when he was 27 years old. Kluber already in decline. Not remotely the same circumstances or compensation equivalent. I’d love either guy in a Padres uniform, but no way in hell we trade that much for them. SD plays in a non-DH league. What do they do with Trumbo, who can only DH? Instead of “most outrageous” call it most “half-baked”. I guess, Tom, I am seeing what would be an unprecedented, unable to be agreed upon scenario that I’ve already communicated is untenable, and you…have Trumbo as the issue…? I am half-baked? Lol. Perhaps, you may want to see if you left your sense of humor in your other pants. To be clearer, I think each team could benefit from something like this, but it’s a crazy proposition. I should be more open to criticism. I just thought I had already admitted there is some deserved criticism for it. Just for kicks humor me: who gets the best end of the deal? Worst? Do you have a projected package that you believe would be enough to acquire Bauer? Kluber is signed for 1 year, with club options for 2 more, for 3 in total. And he’s the pitcher I’d want, but it will not be without pain. Cleveland will want an OF for sure, but also a C, and several prospects. We might be looking at a package that includes Hedges (or Allen), Cordero/Reyes/Margot, and 1 top 10 pitching prospect plus 1 top 20 pitching prospect. 4 for 1 sounds about right. Or what Boston gave up for Sale , and for Kimbrel.